Don't forget to visit our new fashion blog to keep up to date with the latest fashion news from around the globe. 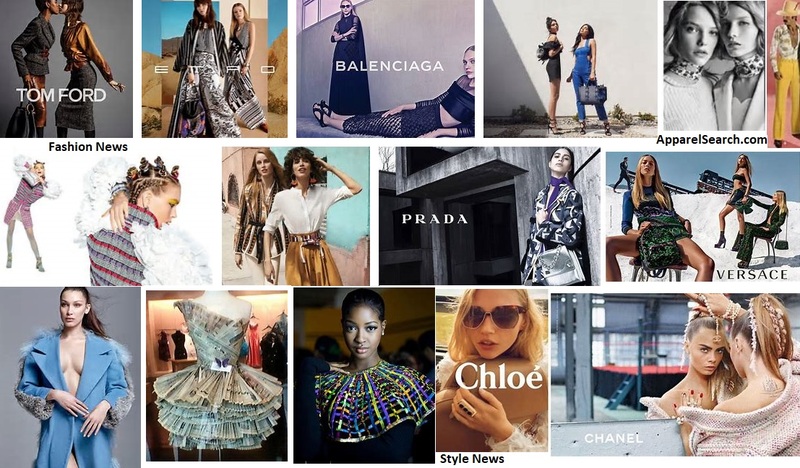 Also, when you are done researching our historical reference articles below, you can return to the fashion news main section to catch up on more current fashion news stories. Technical Textiles in China: Opportunity or Threat? BABINI KUKI New Spring - Summer Fashion Collection. A Future for Hong Kong’s Apparel Industry in 2005 and Beyond? Island Pacific Partners with Planalytics Inc.
ROUNDHOUSE SUCCESSFULLY IMPLEMENTS EDI SOLUTION FOR LACOSTE‮..
Kellwood Named New Womenswear Pres. Garmento will continue in theaters for another week. The Intimate Apparel Salon, New York, New York, October 31 ‮..
Nip Embarrassing Moments This Spring & Summer! SARS - Should you boost inventories? "ANDROGYNY" A DAZZLING COLLECTION OF COSTUMES. Tropical Sportswear Appoints Exec. Vice Pres. Chief Marketing Officer of Ann Taylor, Inc. Thank you for taking the time to visit our ASAP fashion news section.